March 2014 saw the launch of Climate Week, which was Britain’s biggest climate change campaign to date. Inspiring action to create a sustainable future, Climate Week showcased practical solutions to help people live and work more sustainably. Scottish Natural Heritage has taken a number of steps at many of our own offices to tackle climate change by using renewable energy sources. We see using the right type of renewables at the right location as an important contribution to achieving our Low Carbon Vision. 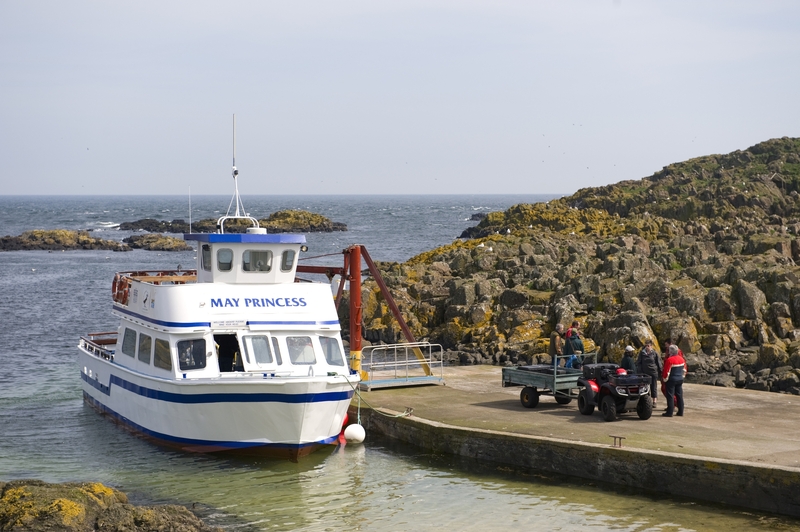 Our Isle of May National Nature Reserve is not on the electricity grid, so any fuel to make electricity or provide heat has to be brought to the island. This is costly and not very efficient, so to reduce our carbon emissions we have added some new solar panels. Now the seal researchers and volunteers who stay on the island can have reliable, green electricity for lights and laptops. The Isle of May solar panels are just one of more than 20 renewable energy systems at SNH offices. Our Battleby, Inverness, Golspie, Newton Stewart, Cairnsmore of Fleet NNR and Dingwall offices all use solar panels to save in the region of 55 tonnes of CO2. 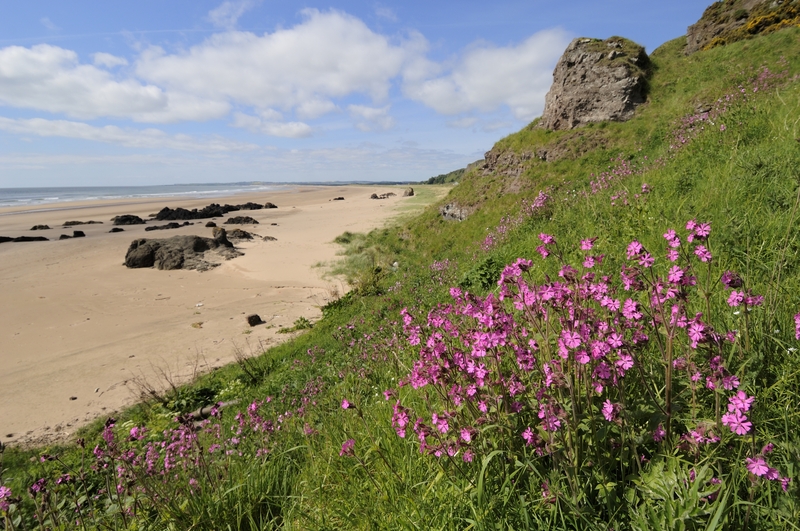 The installation of electricity-generating wind turbines at our Noss, Forvie and St Cyrus NNR visitor centres have helped deliver low-carbon solutions whilst a hydro system (below) at our Rum visitor centre has had a similarly positive impact. Hydro dam, Coire Dubh, Isle of Rum. We are using biomass heating systems (burning wood pellets) at our offices in Aviemore, Inverness, Aberdeen and Kinlochewe; and ground-source heat pumps operate at our St Cyrus, Cairnsmore of Fleet and Battleby offices. 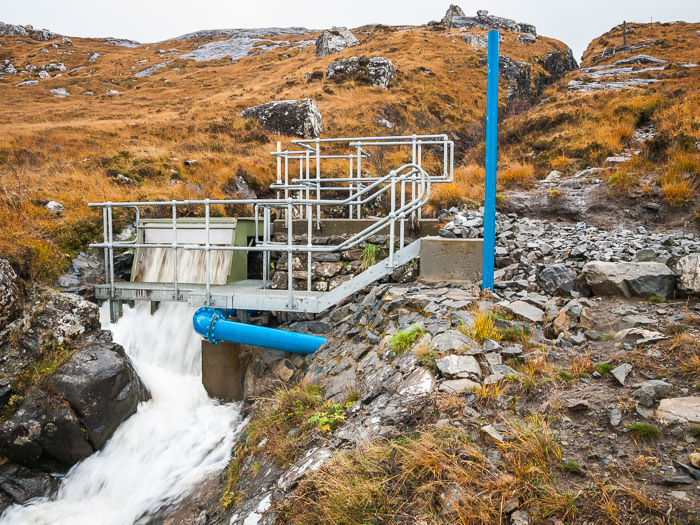 Recently we completed work on a micro-hydroelectric system at the off-grid Creag Meagaidh NNR office, replacing diesel and gas with free electricity from the local river. As a very sensitive site, making this particular system work here is extremely satisfying and it will bring excellent savings in public funds as well as carbon emissions. Image of Hydro dam, Coire Dubh, Isle of Rum, courtesy of George Logan, other images (C) Lorne Gill / SNH. This entry was posted in National Nature Reserves and tagged biomass heating systems, Climate Week, Green energy, ground-source heat pumps, hydro system, low carbon vision, micro-hydroelectric system, sustainable future. Bookmark the permalink.